Notes : Specication subject to change without notice. 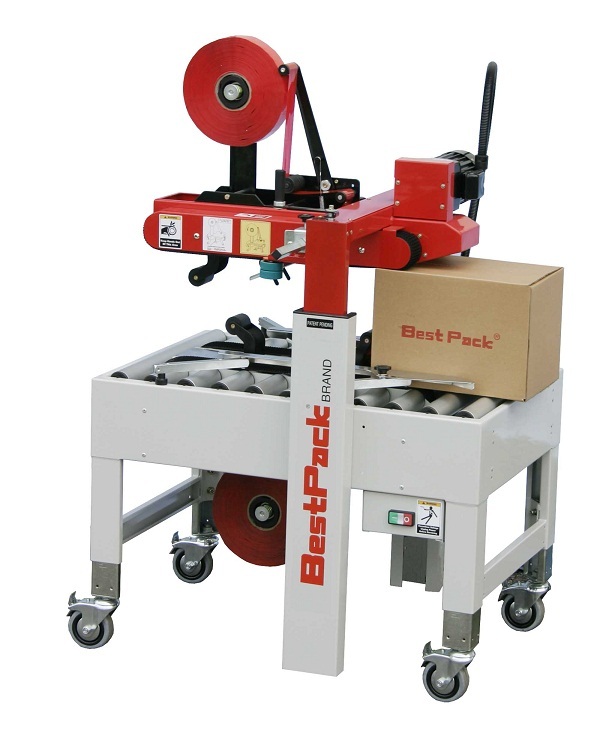 The MTD series are operator fed, adjustable carton sealing machines designed to cater to the needs of general and heavy duty uniform carton closure applications. The Unit is four belts driven ( two top belts and two bottom belts driven). The machine comes standard with a manual centering mechanism which permits the operator to quickly center the carton. All unit is available in standard finish or stainless steel.